Merry Christmas, friends! Here is what I have been up to the last few months. The first line of business to be addressed this offseason was my fitness. While on the road, I had a hard time stringing three really good rounds together. I would often swing well during the week then struggle to make the same swings on the weekend and not know what had changed. Sometimes I would be too tired to get in as much practice as I wanted after tournament rounds, and I woke up fatigued on many a Sunday morning. After four consecutive tournament weeks, I was completely run into the ground. I thought these were mental failures, scheduling mistakes, or just unavoidable hazards of the job, but once I took a step back I could see these all related to my physical preparedness. I have begun tackling these issues by joining the golf fitness team at a gym in Scottsdale called Exos. My swing coaches, Michael Pinkey and Terry Rowles, are working closely with the strength trainers, physical therapists, and nutritionists there to design a program that meets my specific needs. I already had great mobility/flexibility, but I lacked in strength, power, and the efficiency of my movements. By “efficiency of my movements,” I mean that I did not transfer energy well through my body- picture the difference between a slinky and a spring. If you were fortunate enough to see me chase rebounds (I won't even try to call it jumping) on the 7th grade basketball team, you would know I am naturally more slinky than spring. I have been training at Exos four days per week under the guidance of my coaches for eleven weeks now, and the gains I have seen are significant. 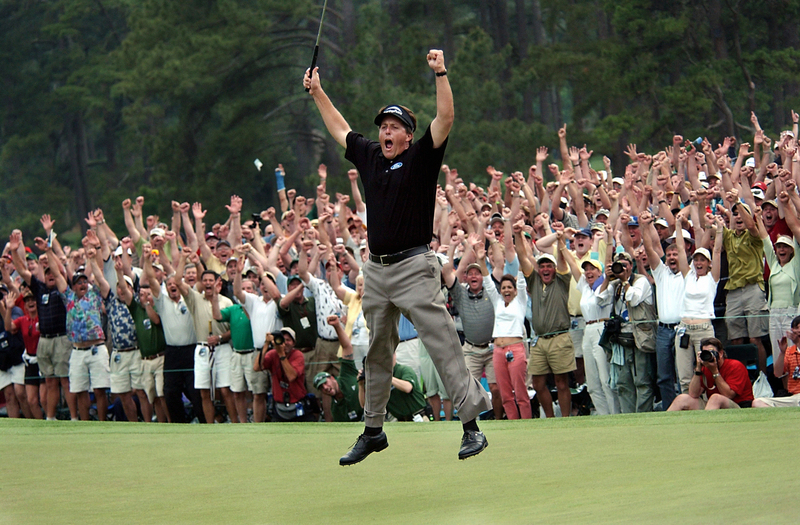 In eleven weeks, my vertical jump increased by 16% (not exactly touching the rim but higher than Phil's infamous jump at the Master's). My distance in the sit-up-to-throw overhead test, a measure of core strength, increased 17%. I consistently hit new personal records each week across nearly every exercise I do. For the first time in my life, I can do a full chin-up from a dead hang. I have gained 3 lbs of lean muscle and lost 1% of body fat. On the course, I have noticed my swing feels stable for longer periods of time. I am able to hit the ball at a consistent, high quality level for two weeks without much changing instead of just two to four days. Also, all the work we have done to strengthen my core and improve posture has eliminated what I used to think was normal, unavoidable low-back soreness and fatigue. These changes have not yet translated to more distance, but I am confident they will. I gained ten yards last season as a result of improved swing mechanics, and now my goal is to gain ten more with better body mechanics. Realistically, it takes much longer than two and a half months to rewire what has been in place for 25 years. My strength and power are increasing rapidly, and now my program focuses on improving the transfer of this power through my body and to the ball. Look out, Rory, I'm coming for you! Working out with such purpose has been beneficial for more than just my flexing capabilities. Exos has given me an outlet to channel my competitive energy in these long months between tournaments. I walk (well, sometimes limp) out everyday feeling like I accomplished something, which is important to someone who has built her identity around competition. I also enjoy the team atmosphere at Exos. Not only have I added to the team of coaches/experts who I trust to help me get better, but I train alongside PGA Tour and MLB athletes who I can learn from and who inspire me daily. Back to other winter goals: my short game let me down at times this season, so I have been working to make it more reliable. I have adjusted my chipping technique so as to eliminate some of the big misses and have been working to build my confidence back up around the greens. I have also made a slight adjustment to my putting stance to promote balance and consistency. Progress here comes with repetition and productive practice. I’m also using this time away from tournaments to regain perspective. I’ve enjoyed yoga, hiking, movies, a Thanksgiving at home, and spending time with friends where golf doesn't even come up as a topic of conversation. It's refreshing to remember the sun doesn't rise and set by the numbers on a scorecard! My first event will be on the Cactus Tour Feb 2-4 to get back in tournament mode. The Symetra season will kick off Feb 20-22 in Mesa, with full time travel beginning in late March. Our schedule (not yet released) will feature at least 23 events and the highest average purse size in history-- exciting times! I am really anticipating this season to be a great one. As my college roommate pointed out a few months ago, I made a huge leap between my sophomore and junior years at Nebraska. I am now an upperclassman on the Symetra Tour, and I'm ready to make 2015 MY year. Thank you all for your constant support and encouragement. I hope you all have a Merry Christmas filled with gratitude, joy, and time spent with loved ones. Finding a real life Herbie Husker at the Husker bar in Scottsdale isn't quite as good as being at Memorial Stadium on game day, but it is the next best thing. Scenic & fun round of golf with my tour friends Kendall Dye and Cara Freeman at Kendall's home club, Troon CC. I was invited to play in the Silverleaf CC Pro-Member tournament with my new friend Nir Czopp. We had a blast together and won the net division thanks to sizzling round of -12 in the two man scramble format on day 1. I also tied for second in the low pro division on day 2 with a 71. It is always fun to bring home some hardware! 5k Boise Turkey Trot with my "high school roommates"
I traded in my beloved '02 BMW for a '14 Honda Accord! It was time to upgrade to better gas mileage, bluetooth technology, and cheaper maintenance. I'm excited to hit the open road in this bad boy next season! I have been volunteering with the LPGA-USGA Girl's Golf Program of Phoenix recently and LOVING it. It is so much fun for me to be around young girls who are getting bit by the golf bug. I even met a recent Boise-to-Phoenix transplant, 11-year-old Leighton Shosted, and we enjoyed 9 holes together at Alta Mesa. This girl can play!